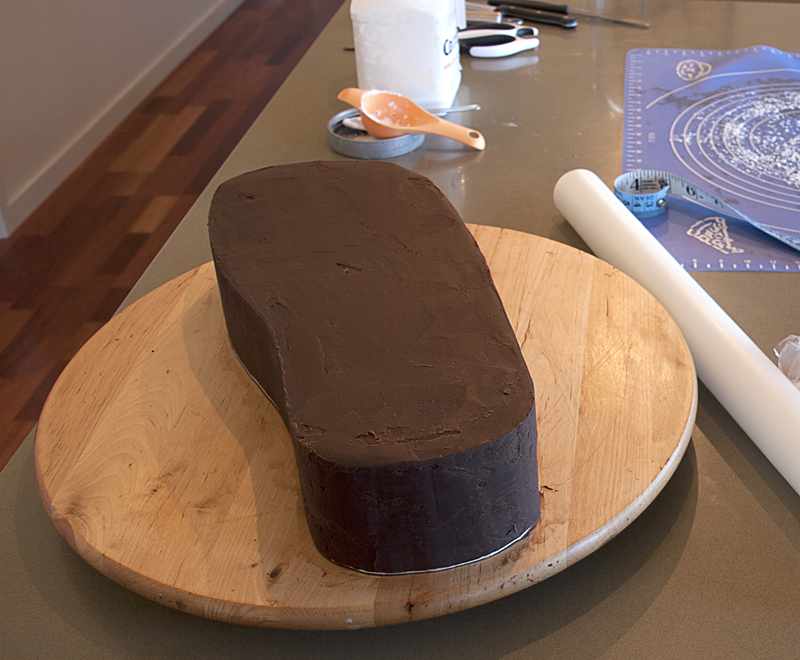 This 9″ Ballerina Shoes birthday cake is made from dark chocolate mud-cake and filled with dark chocolate ganache. 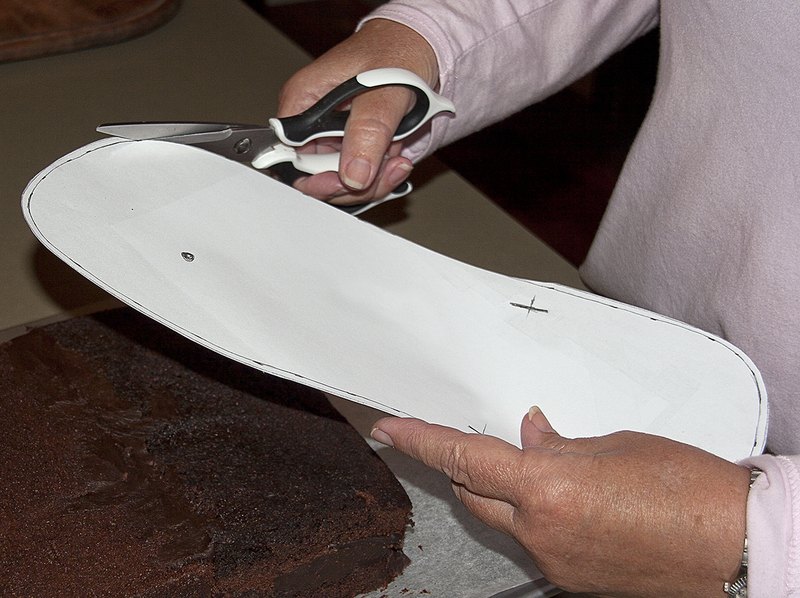 Press a quilting mold to the sides of the cake to make quilting effect or measure and indent with the side of a ruler. 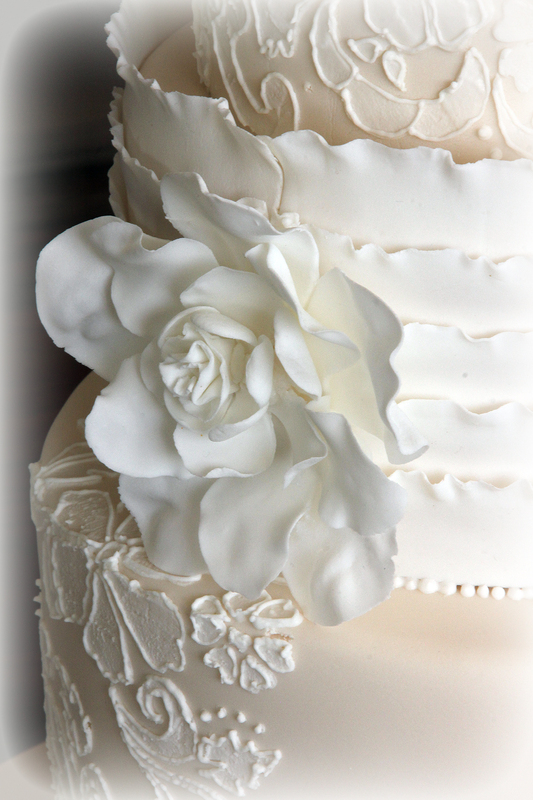 Brush the top and sides of the cake with Super Pearl dust. 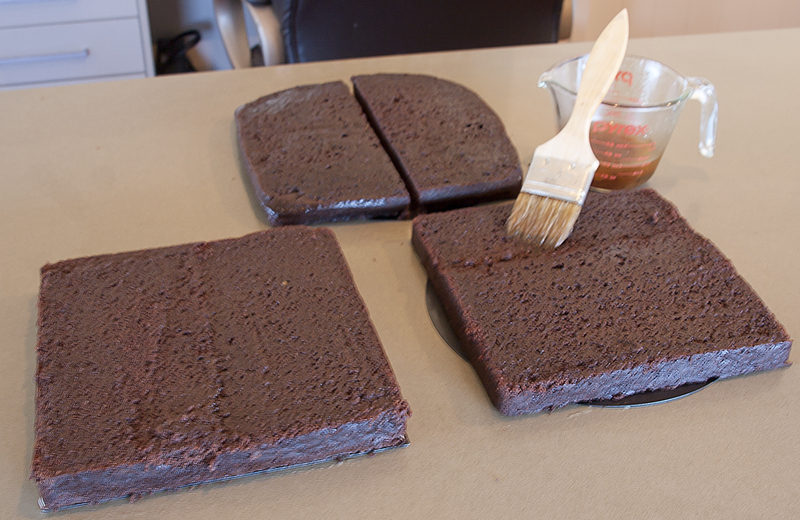 Use the other end of a paint brush to make holes for the silver balls and use some edible glue to attach them. 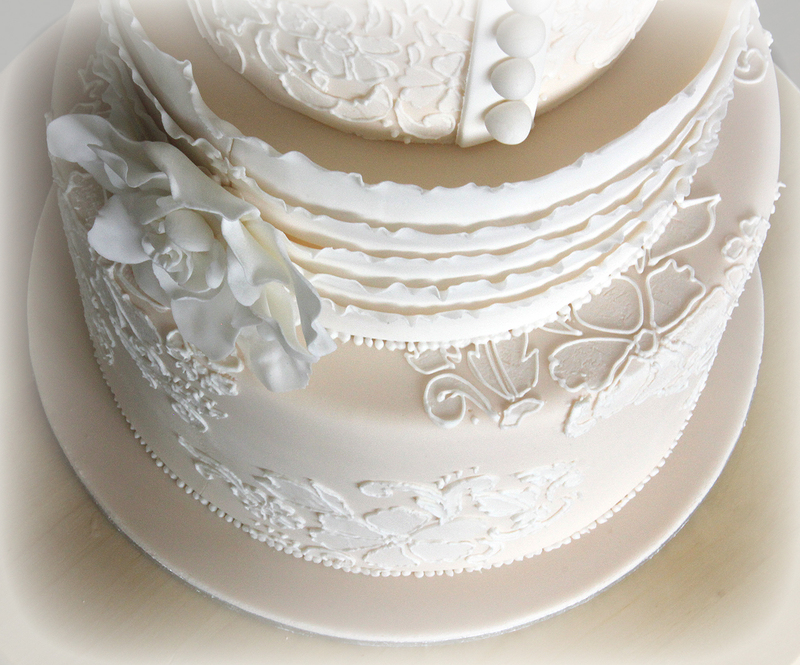 Add any lettering at this stage. 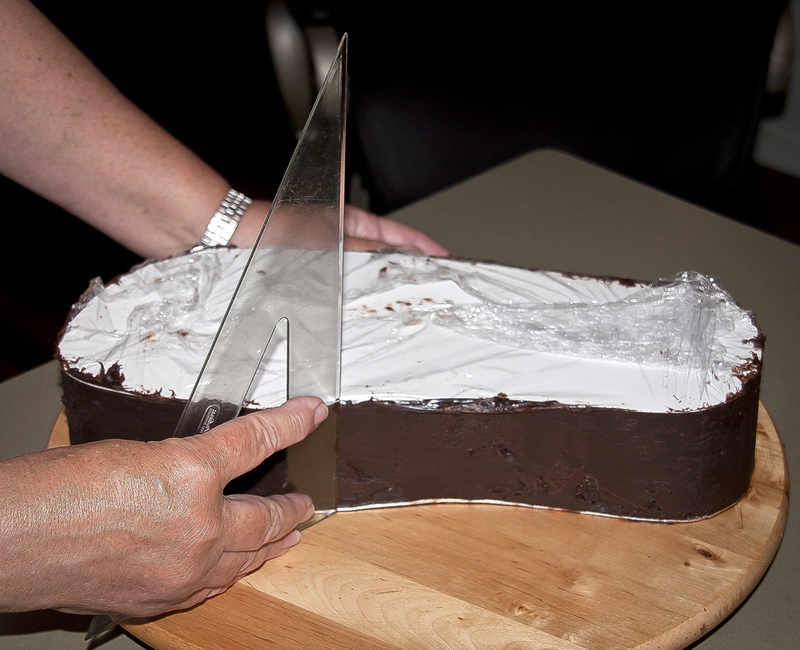 Cut the net into 2 strips each 15 cms wide. 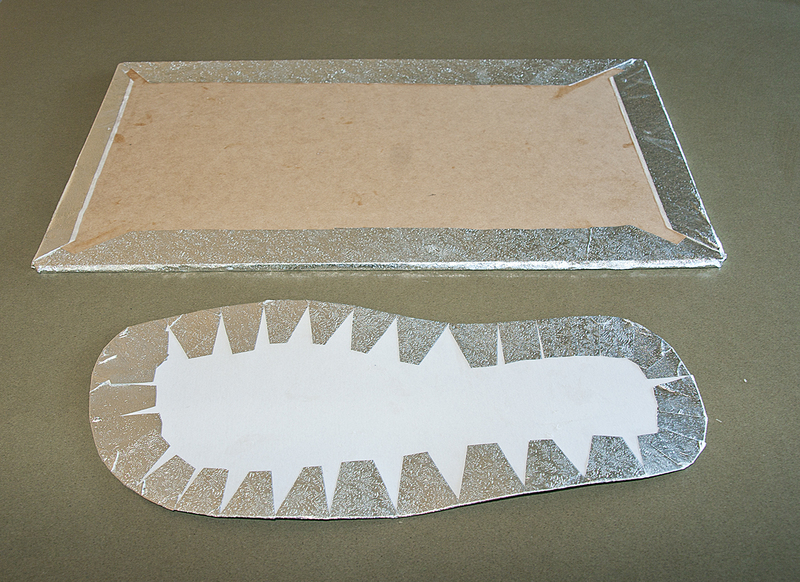 Join the strips with pins to make a 2 metre length then machine stitch along one long edge with the largest stitch on your machine. 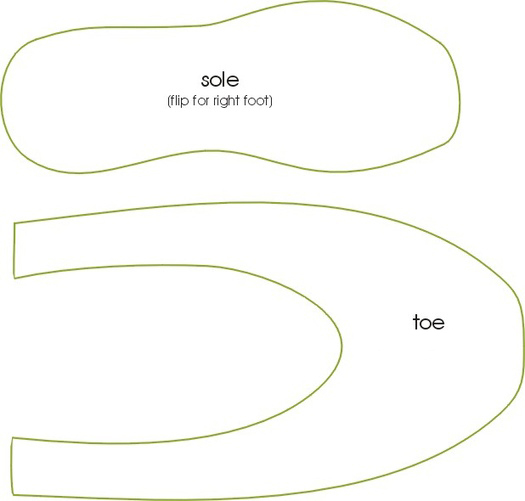 Pull one of the threads to gather the fabric into the tightest circle possible and sew in place. 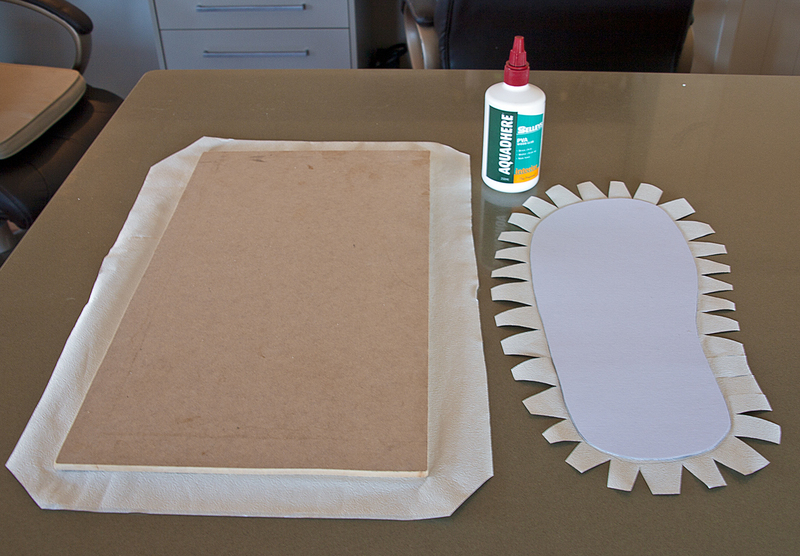 Place tutu onto a 14″ cake board and glue down with a glue gun. 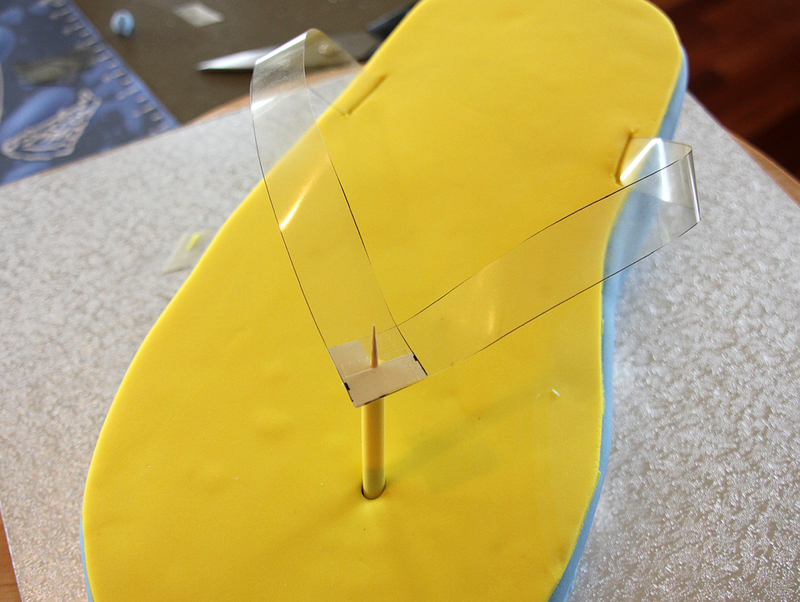 Use a 9″ set up board to sit on top and glue this on with a glue gun. 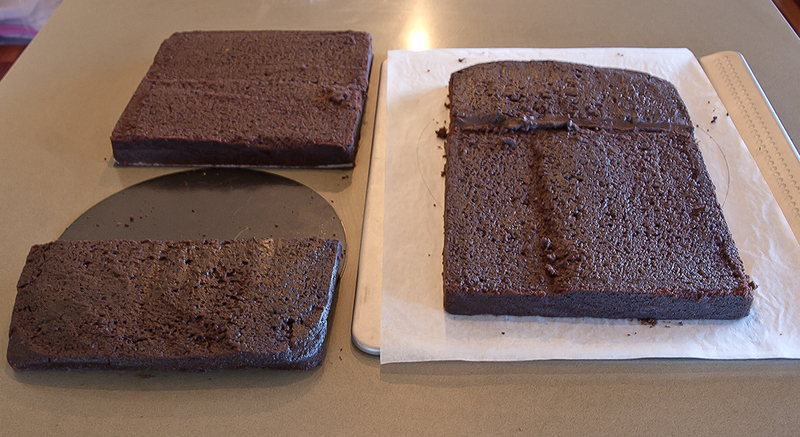 Place a 5 kilo bag of flour (or something heavy) on top till set. 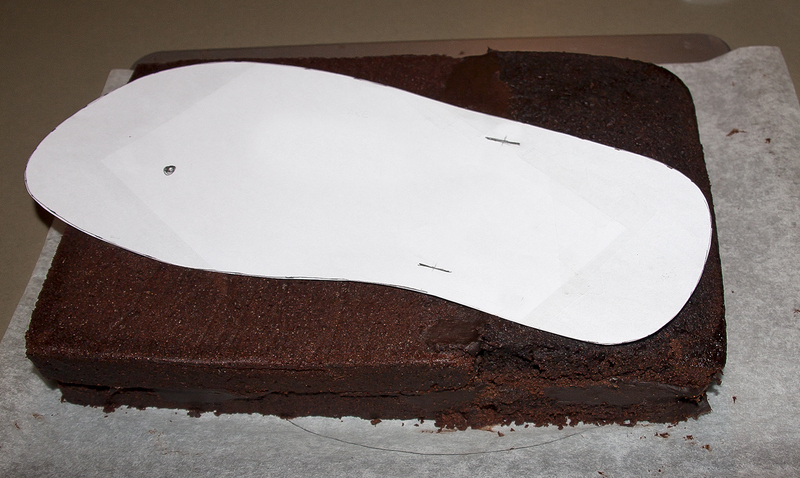 Trim your tutu so that it sticks out about 1 cm from the edge of your cake board. 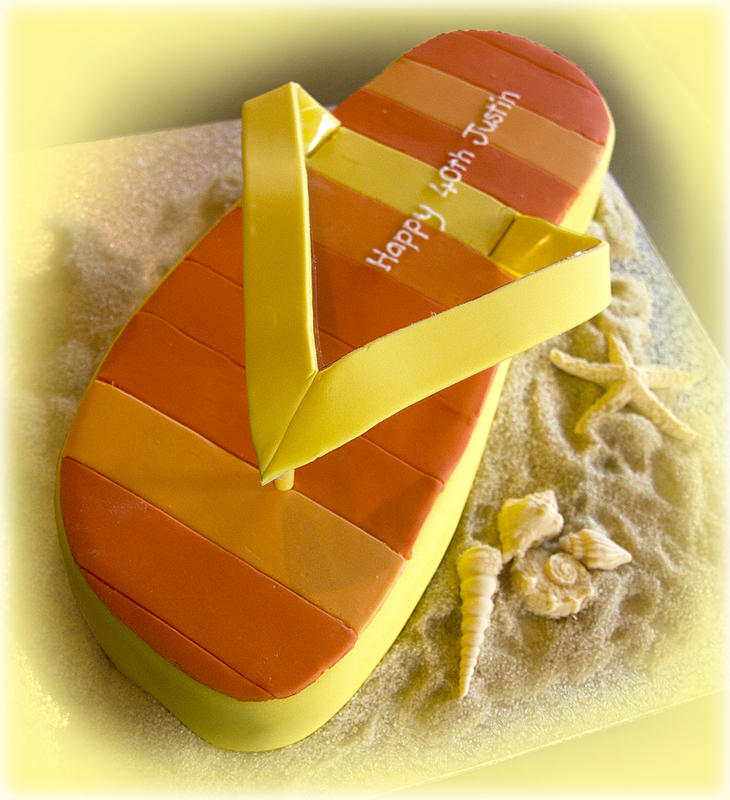 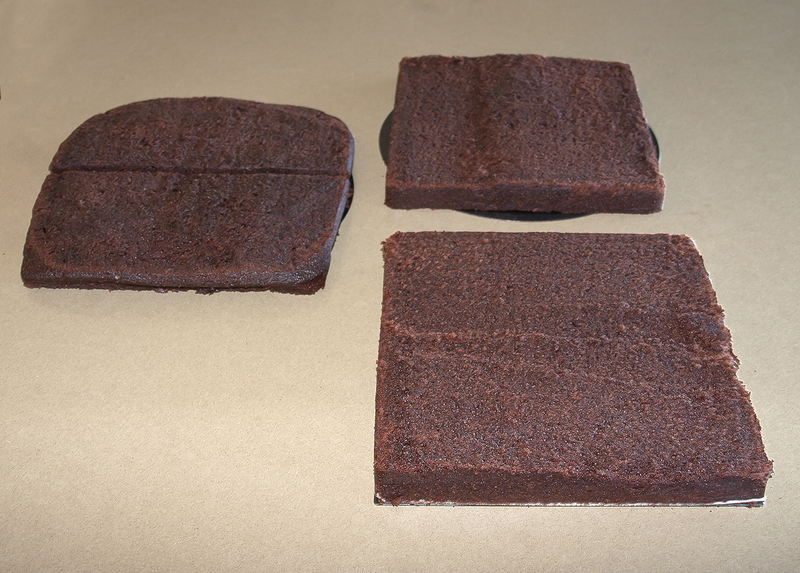 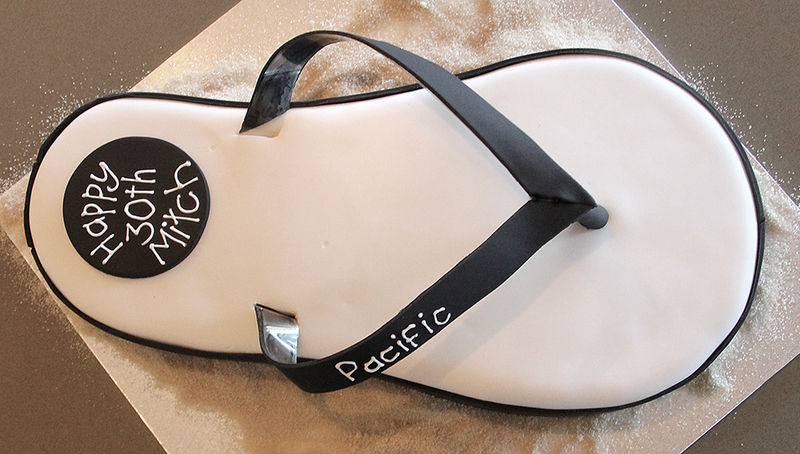 Place your cake (which should be on a matching 9″ set up board) on top using your glue gun or PVA glue to stick it down. 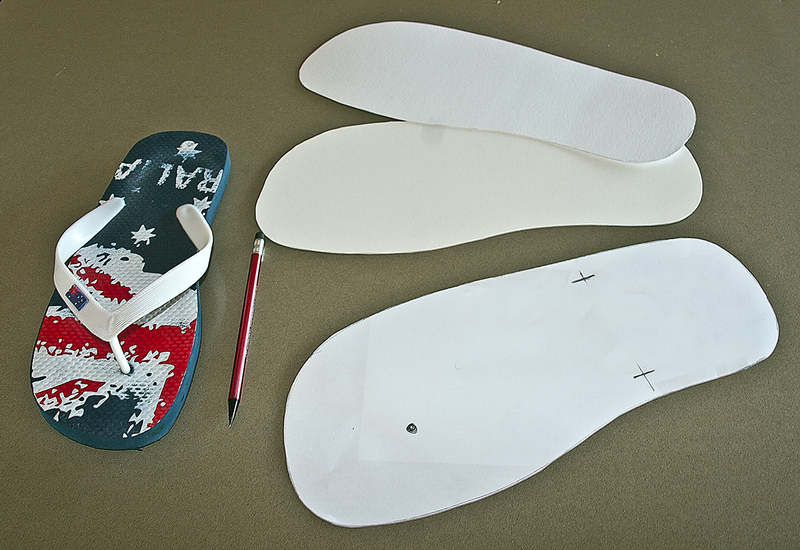 Print out the shoe template onto thin card so that the sole measures 14 cm in length and cut them out. 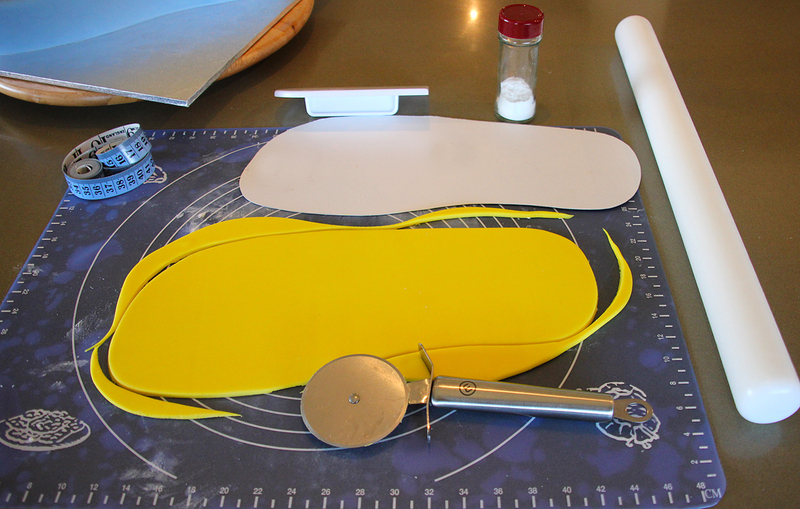 Use the templates to cut out 2 soles and two toes in pink sugar-paste and remember as we work through the rest of the instructions that you are aiming to make a left and right shoe. 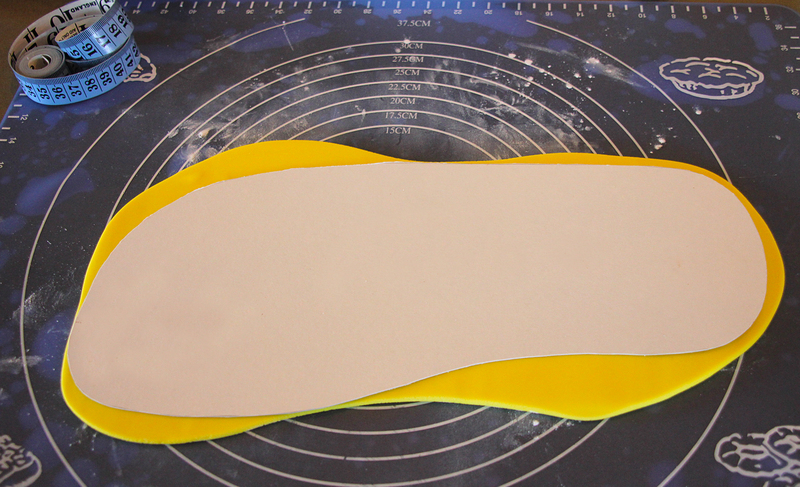 Use edible glue to attach the uppers to the soles. 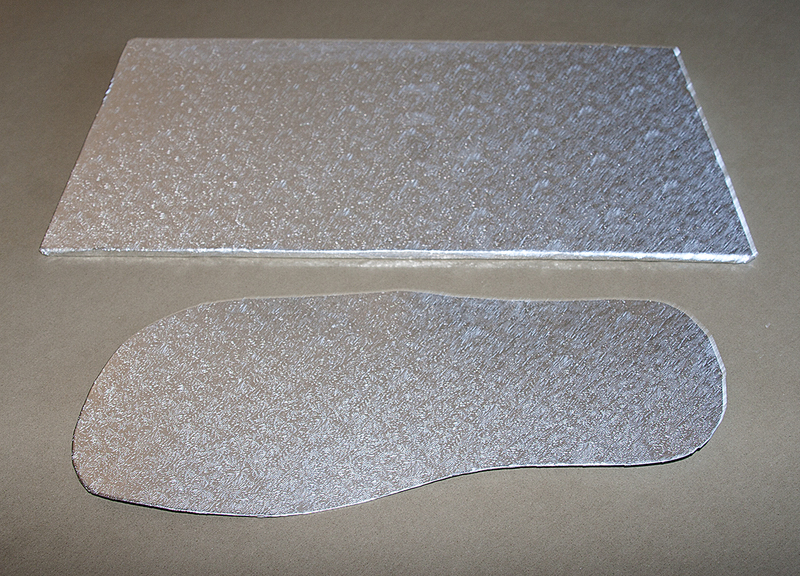 I turned a little of the edge of the upper under the sole but I think it might have looked better just to join them edge to edge. 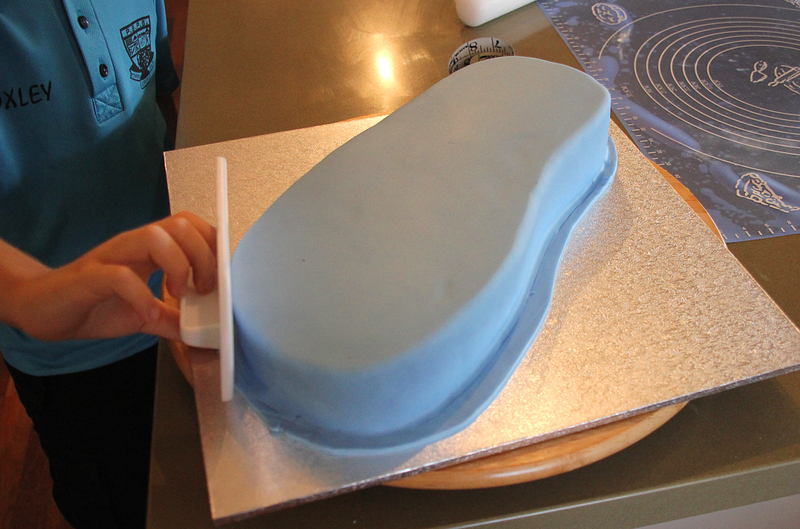 Fill the shoes with cotton wool to keep their shape (the cotton wool stuck a little to some glued edges so I would recommend scrunched cling film instead). 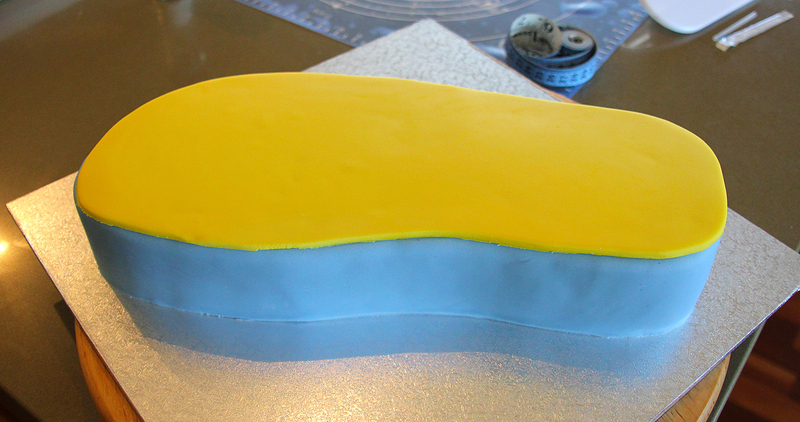 Leave shoes overnight to harden. 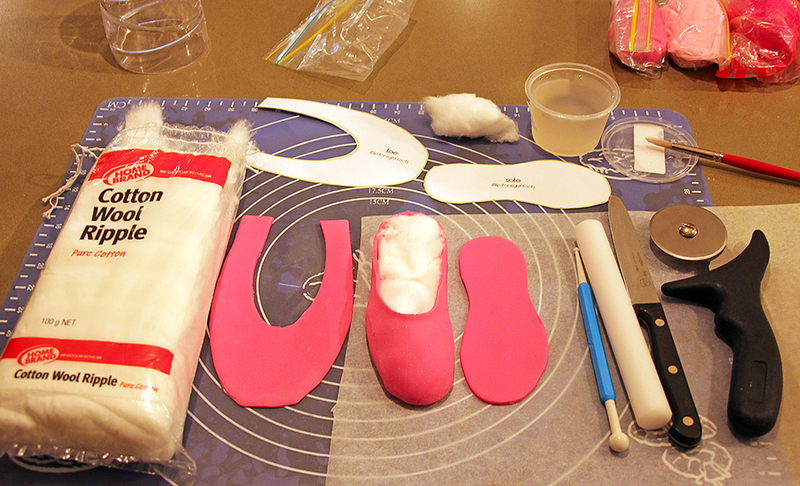 Next day remove packing and add the stitched band around the top of the shoe by cutting and glueing a narrow strip of pink sugar-paste around the top edge of each shoe and use a cocktail stick to make the little holes. 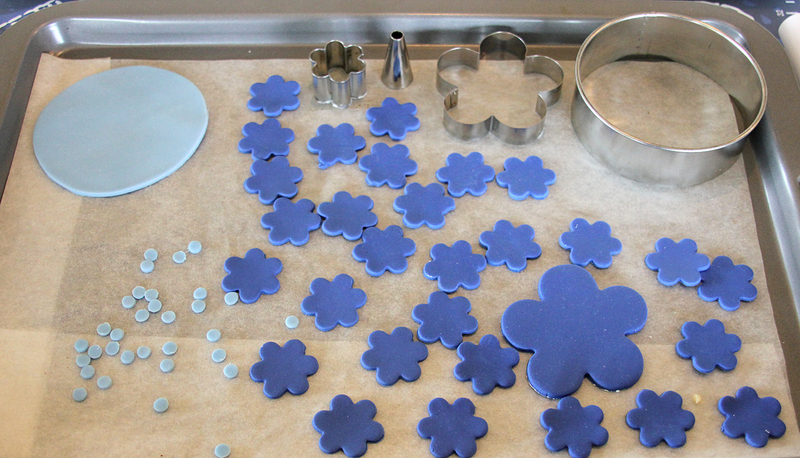 Use the clay gun to make the little bows and glue them in place with edible glue. 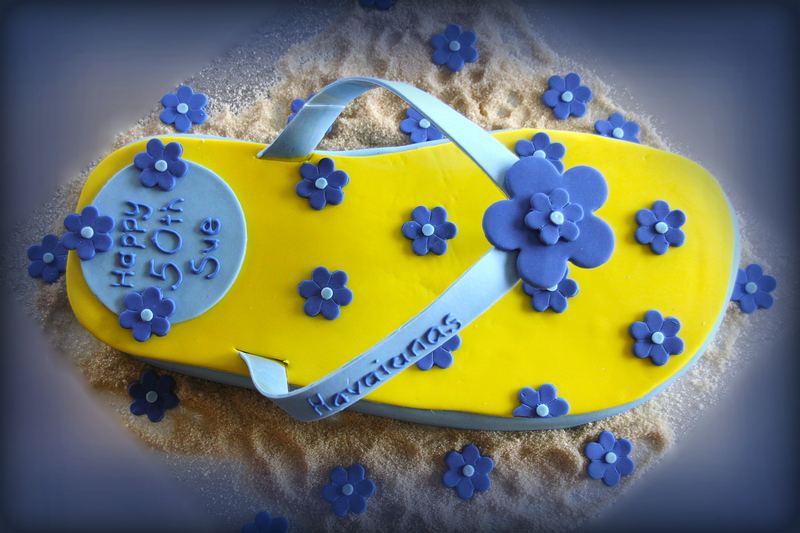 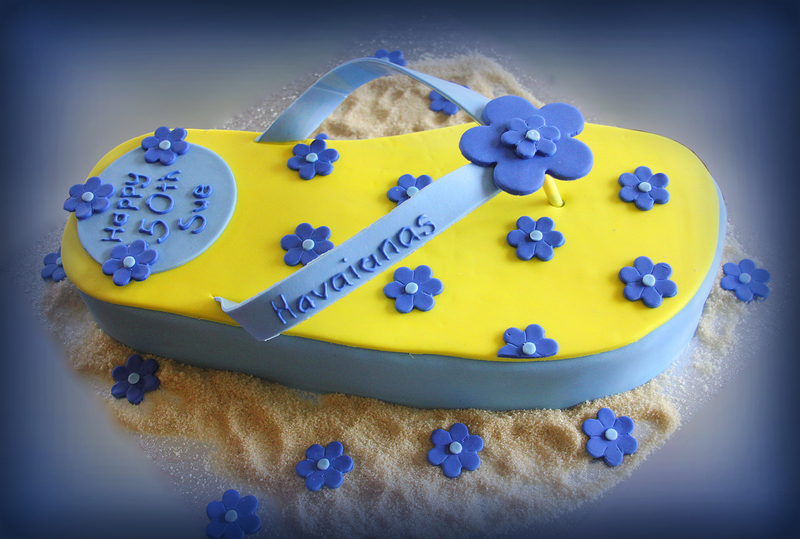 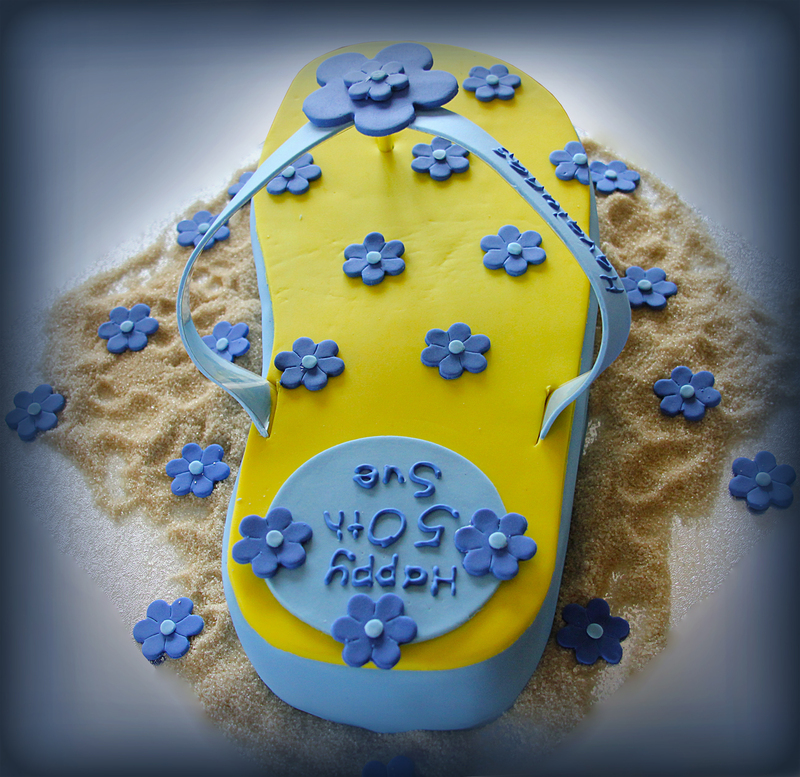 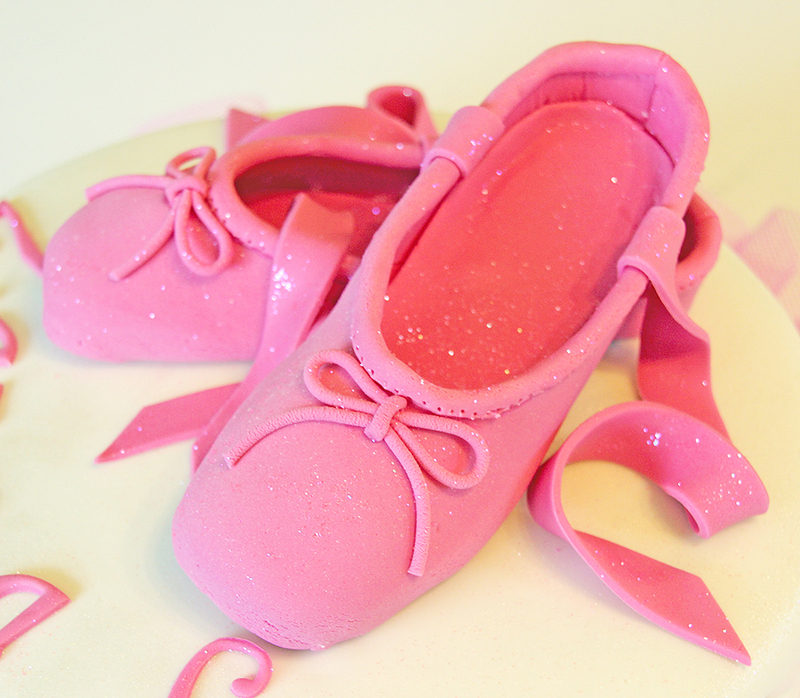 Dust the shoes inside and out with pink twinkle dust and attach to cake with edible glue. 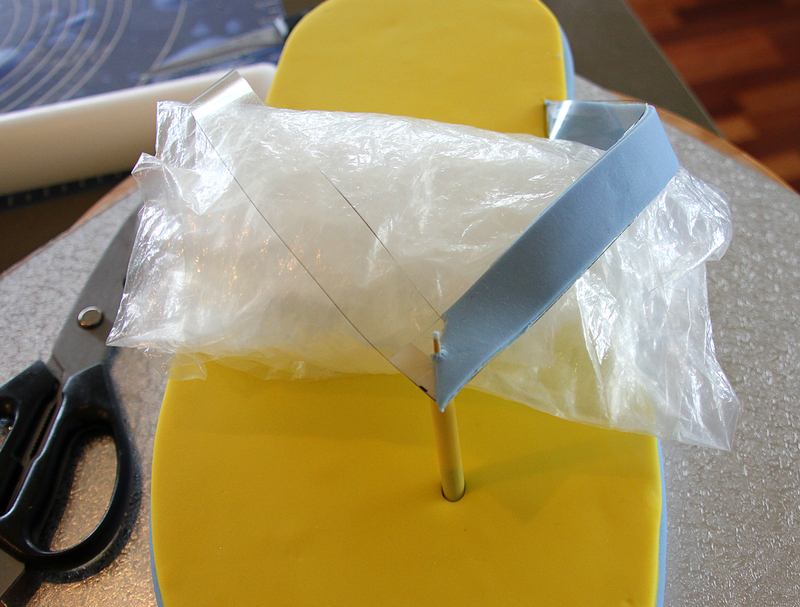 I also used a cocktail stick to anchor the toe of the angled shoe to the cake as the cake was travelling by car to the birthday girl. 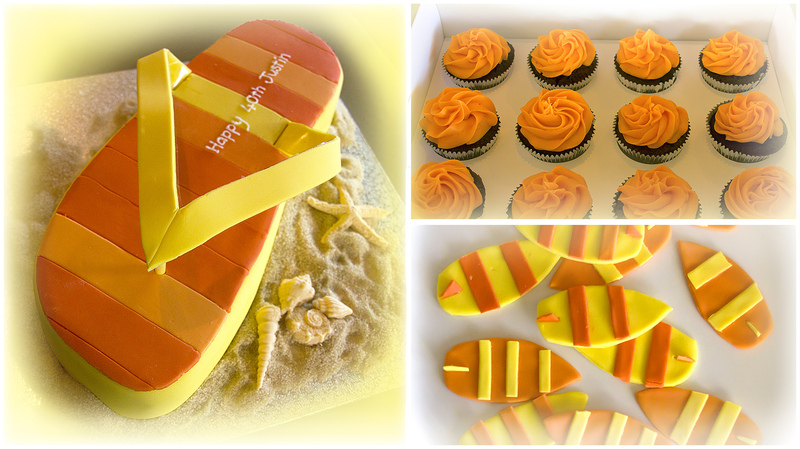 Cut out 4 long strips of pink sugar-paste to make the ribbon ties and dust them on both sides before glueing them to the shoes. 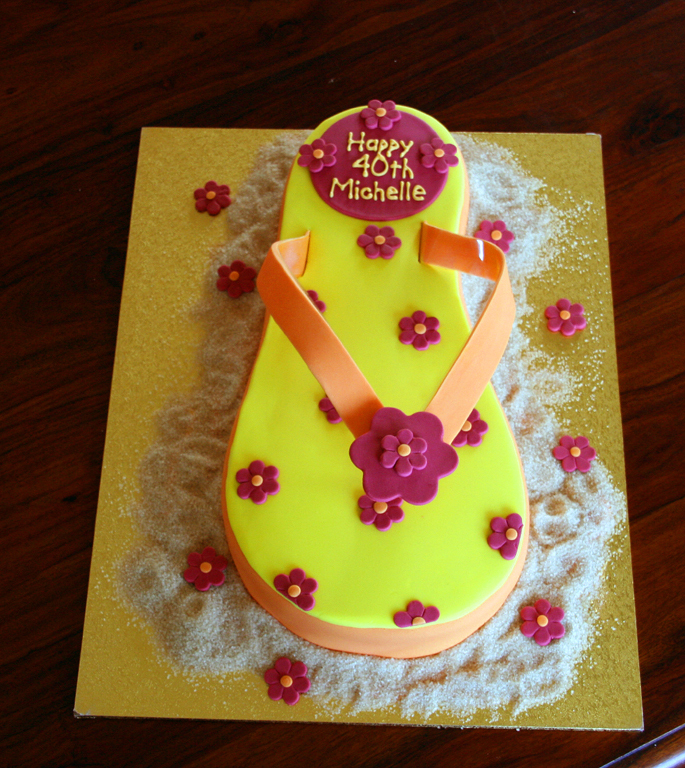 Brush more pink dust over the shoes where needed. 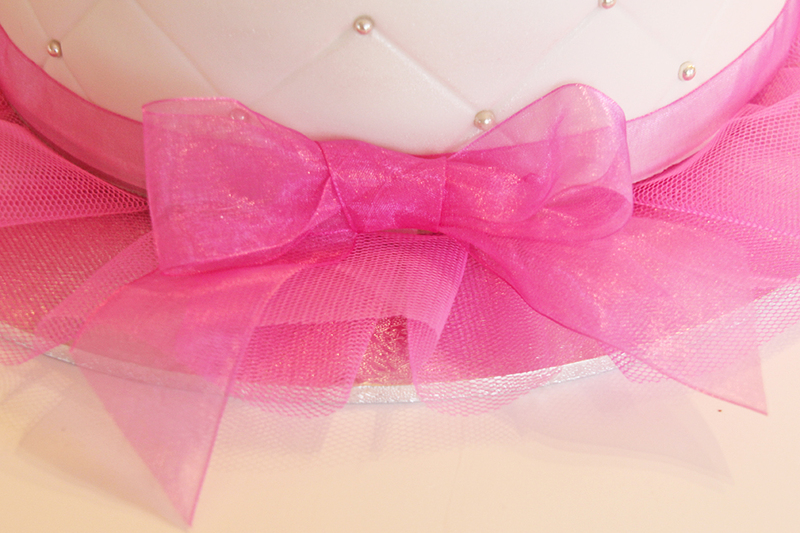 Use a ribbon in the same shade as the tutu, around the base of the cake and make a bow for the front.